Ballina RFC 28, Creggs 24. 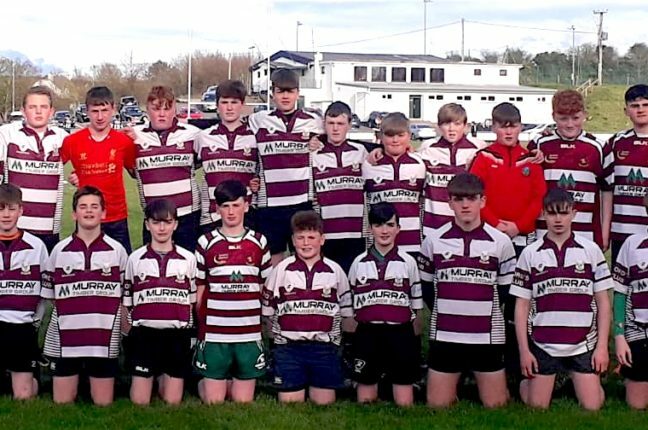 Creggs under-14s played their Connaught Plate Semi-Final away to Ballina RFC on last Friday evening. Jack Donnelly scored the first of his two tries on the 3rd minute in the corner with Andy Quinn converting it, giving Creggs a dream start. However, Ballina came storming back in to the game with three tries followed by a response from Shane Maloney with a try before half time leaving the half time score at Ballina 21 – Creggs 12. The second-half was a tight encounter but Ballina got another breakaway try which was converted, to lead by 28 – 12. Then Philip Duda crowned a fine debut season with a brilliant try, converted by Andy Quinn to create a grandstand finish. 29 – 19. This was followed by Jack Donnelly’s second try, and that’s the way it finished with time running out for Creggs. They had put great pressure on the Ballina line on a number of occasions, but excellent defending from them kept Creggs lads out. The final score was Ballina 28, Creggs 24. From the start of this season the Under-14 squad was the club’s most improved group of players, so well done to all concerned. 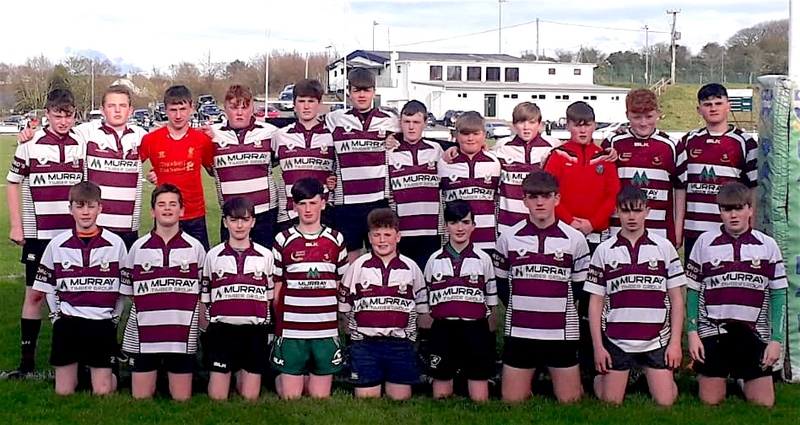 Creggs Rugby: Andriu Oates, Ben Donelan, Mickey Costa, Sean Allen, Adam Flynn, Eoin Kelly, Philip Duda, Shane Maloney, Andy Quinn, Jack Donnelly, James Davis, Conor kelly, Jamie Betts, Steven Smyth, Daniel Brown, Joseph O’Connor, Josh Mac Carmack, Sean Kelly, Liam Og Corcoran, Fionn Murphy and Eoghan Keaveny.